The queen of the evening. Nobody knows who is buried here. It is not grand, but it is extremely exquisite. 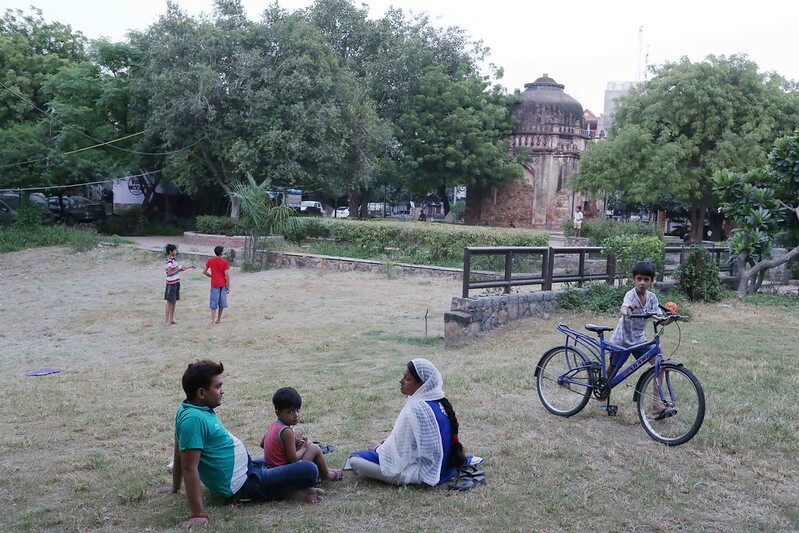 And you will see no tourists, no lovers, so typical of Delhi’s more well-known monuments. 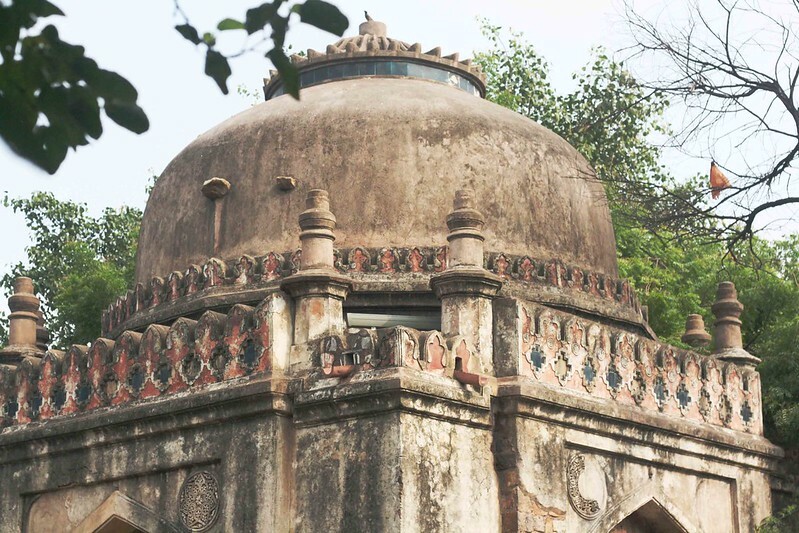 This unnamed Lodhi-era tomb in South Delhi’s Lado Sarai is unusually marvelous because each evening it manages to transcend its seemingly insurmountable beauty. 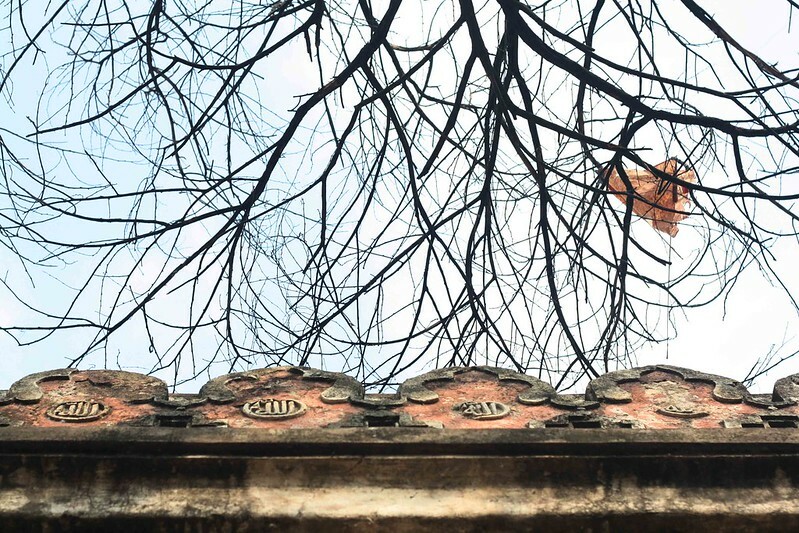 As the sun starts to set somewhere beyond Mehrauli, the old building loses the sense of its glorious past, if there was any. Instead, it transforms into a plaything for the neighbourhood. 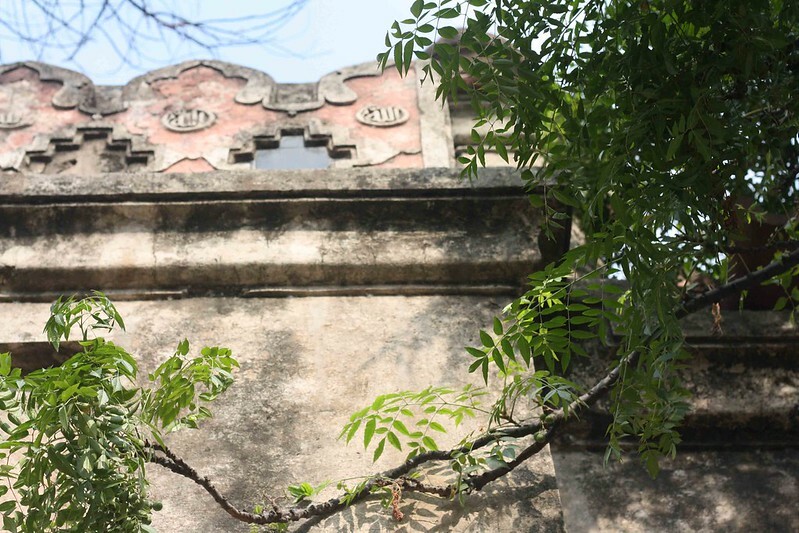 People of the locality soak the monument and its immediate vicinity with the essence of their intimate lives. 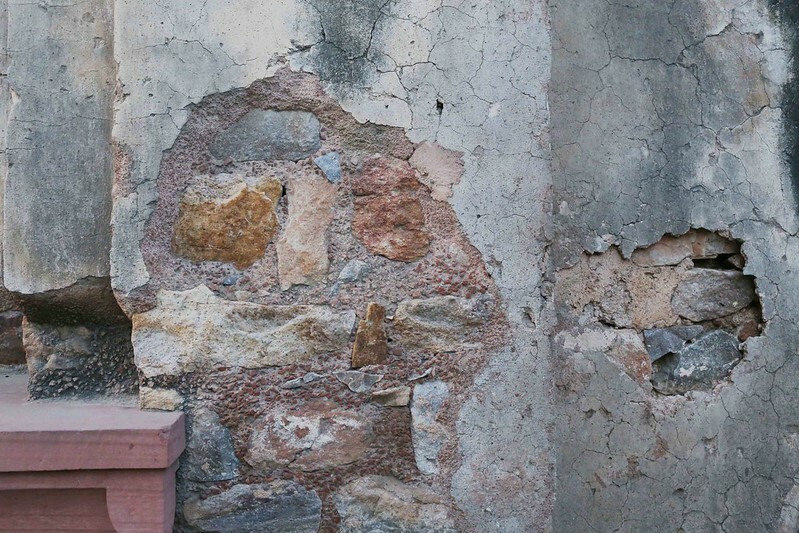 The Lodi-era ruin becomes a corner of their private courtyard. 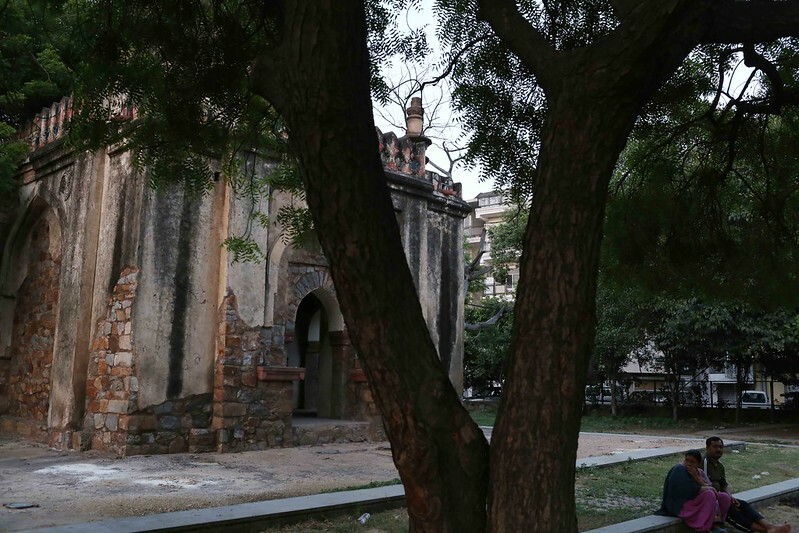 Consider the scenes The Delhi Walla witnessed during a twilight hour. 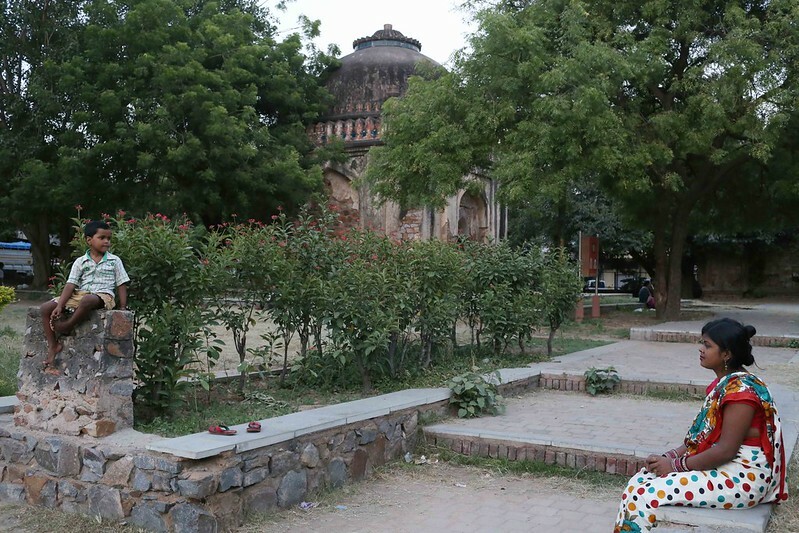 A young couple was lounging quietly under the shade of the dome; their child played with himself an arm’s length away. Three friends were seated on a bench, and discussing their preparations for an approaching job entrance exam. Two people were playing badminton. 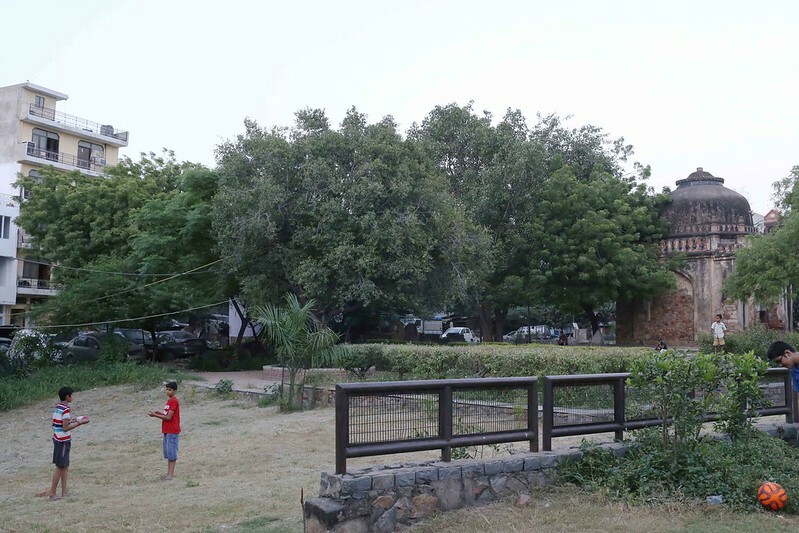 A boy was flying a kite; another was riding his cycle up a grassy slope. Two elderly men were arguing over politics, looking agitated. 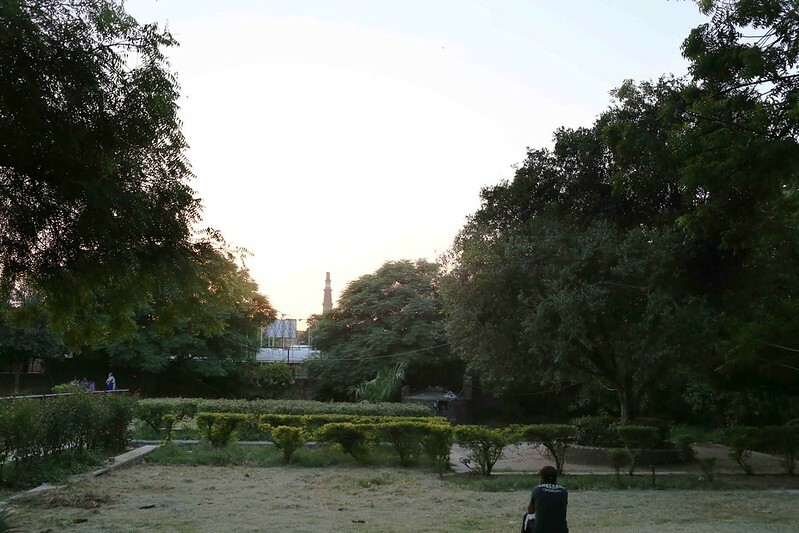 A young man was seated alone, intently watching the silhouette of the Qutub Minar in the gathering darkness; his mind probably weighed down with secret thoughts. But facts are not important. The monument permeates the soul with feeling. It may make you happy or sad, but once you visit it, you would like to return again and again. Great pics as always. Thank you for taking us along through this wonderful place. “seemingly insurmountable beauty” and “unusually marvelous”? Really? The tomb is sort of above-average but not THAT special.